Is your landscaping ready for the cold winter months? Homeowners who prep their lawns in the fall for the winter see a better return come springtime. They experience lusher lawns and loose fewer plants and shrubs when temperatures dip below freezing. Check out the following lawn care services in Atlanta that keep your landscaping healthy all year long. While placing basic fertilizer around the roots of the trees and shrubs is a great way to maintain tree health on an as-needed basis, the best way to maintain healthy roots during the winter months is to use a technique such as deep root fertilization. This tree care method stabilizes tree health. Certified tree specialists from the best lawn care company in Atlanta use equipment that injects a mix of fertilizer and tree nutrients into the root base of the shrubs or tree. Plants that receive this service has an increased tolerance for cold weather, are less susceptible to cracking from frost, and it minimizes the insect and disease damage during in the spring. If you have trees or shrubs on your property that you want to give extra protection to, consider this essential winter maintenance service. Are you someone who likes to have a closely cropped yard? 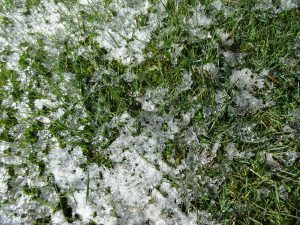 While this might be fine during the summer months once winter hits you need a stronger lawn. The easiest way to achieve this is to mow less in the fall. Ask any professional lawncare specialist in Atlanta and they will tell you to grow your yard taller in the fall. At least an inch taller than normal for the best results. Doing this strengthens your lawn. Overseeding is planting grass seed into the existing yard without taking up the existing turf or overturning the soil. Not only does overseeding fill in bare spots that died during over the summer, it also enhances lawn color and improves the health of certain grass varieties. Overseeding can be done at any time of the year, but it’s most beneficial during the fall right before the cold of winter sets in. Planting grass at this goes a long way toward creating strong root systems. Check with professional lawn care services in Atlanta to learn more about how to water overseeded yards, so that you don’t drown the newly planted seed. Lime is a soil amendment and that is why Fall and Winter is great time to add lime to your lawn, which can take months to change your soil pH. By liming your lawn, this process ensures your yard is getting the right amount of nutrients for a beautiful and healthy grass growth in the spring. 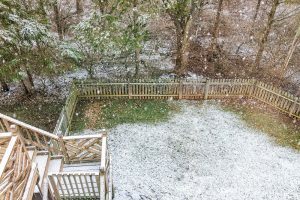 best lawn care company in Atlanta to prepare your lawn for winter.